Smooth gliding, aluminium panoramic doors. 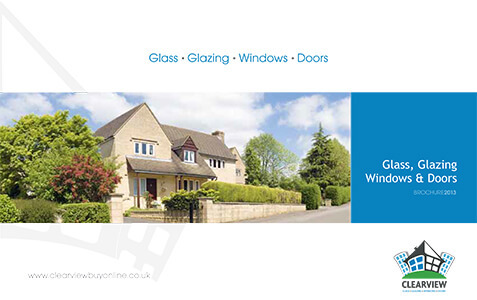 Doors come in two distinctive, modern colours including dual colour. 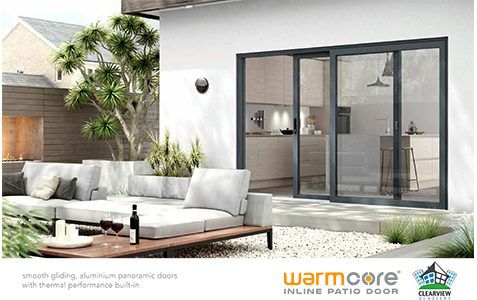 WarmCore inline patio doors allow natural light to flood in to your home through large glazed sashes that maximise the enjoyment of your view. The full width thermal core at the heart of the WarmCore range lets you enjoy the desirability and durability of aluminium, while keeping your home snug and warm. Custom designed 10 wheel rollers glide effortlessly on a precision engineered track, making these panoramic doors the perfect blend of aesthetics and performance. 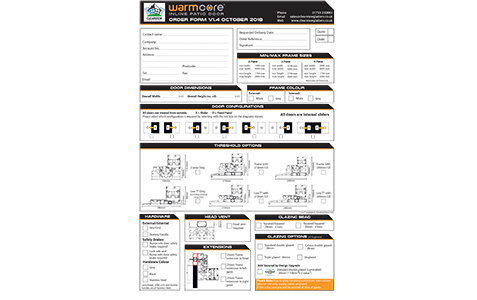 Every WarmCore patio is independently certified to PAS24:2016, the benchmark in enhanced security performance requirements for doorsets and windows in the UK. 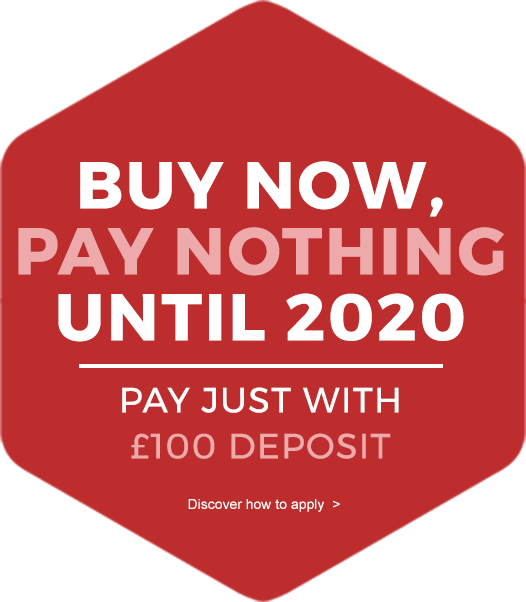 Each door is also fitted with a high security ‘Anti-Snap’ and ‘Anti-Bump’ Yale Platinum 3 Star cylinder, designed to provide maximum security against known cylinder attack methods. With an emphasis on clean, modern aesthetics we custom designed a high quality ‘lift-to-lock’ handle, unique to the WarmCore patio. This innovative handle operates the bi-directional locks located at the top and bottom of the door. These ‘claws’ make WarmCore patios incredibly secure, helping protect you and your home. WarmCore inline patios are available in a choice of two hard wearing powder coated colours; Anthracite Grey (RAL 7016) and Pure White. Your choice of external and internal colour helps you match the look of your home inside and out.